Tourism Centers And Attraction Sites In Nigeria - Haba Naija! Nigeria is a land Richly blessed with enormous natural beauty. One can easily see this rich fertile and beautiful landscape by merely taking a random tour to any part of the country. Every Tourist has a unique story to tell when visiting Nigeria. Tourism in Nigeria also involves a full blend of culture,festivals, ceremonies,uniqueness of geographical landscape like the Aso rock of Abuja and the Plateaus in North Central Nigeria, National parks , game reserves (Yankari Game Reserve) and a host of others. The Ministry Of Culture , Tourism and National Orientation is a governmental agency with the sole purpose of tourism regulation in Nigeria. Nigeria also utilizes beauty pageants (Miss Tourism) as a way to showcase Nigeria’s fashion , style, arts and designs of our colorful Nigerian origin. 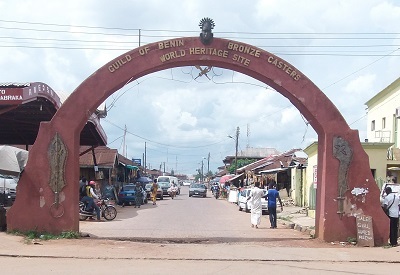 Nigeria’s tourism centers are numerous. Basically everything in Nigeria is unique and can serve as a tourist attraction i.e the Yoruba talking drum in conjunction with our very own Afro-Juju music. Our broken English better known as pidgin English which is a corrupted recreation of the original English language from our colonial masters. Nigeria is so blessed but sadly the people who have the power to develop this profitable industry have put all their focus on oil and gas as the quickest means of providing income to the nation. Every state in Nigeria has a unique attraction and a different oriental style of tourism. Only the major attractions in Nigeria would be focused on due to the numerous tourism centers in the country. Located in Cross Rivers state and brushing the Cameron border. It has a very soothing temperate weather which accommodates both man and animals as cattle herds men find the vegetation very favorable for grazing. One of the best tourist centers in Nigeria with a properly modified habitat for leisure and recreational activities i.e swimming in a serene natural habitat, the waterfall is an indescribable sight to behold. Everything in the obudu cattle ranch is at one with nature. Have you heard of the tribal sculptural houses of Mbari? Indeed another tourist sight to behold. This is where most of Mbari sculptural art is showcased. Mbari is home of the earth goddess and located in Imo State , Nigeria. Mbari has beautiful sculptures which represent their deities like the thunder god Amadioha and Ogwugwu have sculptural representations, detailing the ibo history. The people are very friendly and social life there is exotic. You will definitely fit in no matter your personality. Also located in imo state, is a very popular recreational tourism centre in south-eastern Nigeria which attracts hundreds of thousands of people annually. It is located at Ogwuta local government area. The lake’s water is very fresh and the lake is the 2nd largest lake in Nigeria following Lake Chad. Located in Benue state, is a typical middle belt geographical setting. The entire land mass is beautiful, stretching across a large area of land. An example is the Ikyogen Hills which has natural green vegetation accommodating cattle rearing. The Ikyogen cattle ranch is also located in this area. This is were the unique NOK people of Kaduna state are settled. The NOK culture is over 2000 years old. This tribe has regularly attracted the interests of learned men and researchers. Their ancient artifacts consists of animals and human skulls and also ancient weapons of war. One of the wonders of nature located at Anambra state, is a marvelous sight to behold. The tour guides are always there to lecture you on the interesting stories behind these caves and the ancestors that ones occupied them. Located at Owa Kajola ifelodun local government of Kwara state has a beautiful vegetative surrounding and fresh water as cold as ice. – The Agia Tree ; this is the site of an ancient fallen tree believed to be the location were christianity was first preached in Nigeria. -Verekele Shrine ; this is where Richard Lander was tried before a traditional priest, accused of being a spy. He had to drink a local traditional concoction believed harmful only to liars just to prove his innocence. Located along the Abuja – Kaduna highway in Niger state is shrouded in mystery. The rock is believed to have certain supernatural powers that renders enemy invaders powerless. It has an almost human facial engraving and represents a rich and beautiful Natural rock formation of Northern Nigeria. Temi Odurinde worked in domain name registration and web hosting industry for many years before becoming a web entrepreneur. He is passionate about web and mobile technologies. Temi contribute mainly to Haba Naija Internet and Technology sections. He has a BSc in Computing and Psychology, a postgraduate degree in Internet Technologies. Outside work, he love Oral Storytelling, long distance running and playing Volleyball. What are Super Eagles Chances at World Cup 2014 in Brazil?